Sanjay Leela Bhansali's upcoming directorial "Padmavati" is just around the corner for its release; it stars Deepika Padukone, Shahid Kapoor and Ranveer Singh in the lead role. State Home Minister Gulab Chand Kataria said at a function in Jhunjhunu that if the committee finds scenes that hurt public sentiment, then Bhansali will be asked to remove them. Now, the COO of Viacom 18 Motion Pictures, Ajit Andhare told IANS that they are ready to screen the film for anyone who has any objections to the film, post the approval of the Central Board of Film Certification (CBFC). It was alleged that there was an apprehension that there were intimate scenes in the film, involving Allauddin Khilji (played by Ranveer Singh) and Rani Padmavati (Deepika Padukone). "Has the film been placed before the censor board?". The top court said that there were several guidelines for the CBFC in granting certification to a movie and moreover, there is Film Certification Appellate Tribunal (FCAT) to look into grievances regarding a film. After the Supreme Court dismissed a petition against the release of the movie, BJP lawmaker Subramanian Swamy had a few statements to make on it. The film has been dragged into a lot of controversies, with some Rajput communities even demanding a ban on its release. The Karni Sena, which demolished the sets of the movie in Jaipur and thrashed Bhansali, had warned the director of dire consequences on showing distorted historical facts. The matter was heard by a Bench of Chief Justice Dipak Misra and Justices DY Chandrachud and AM Khanwilkar. 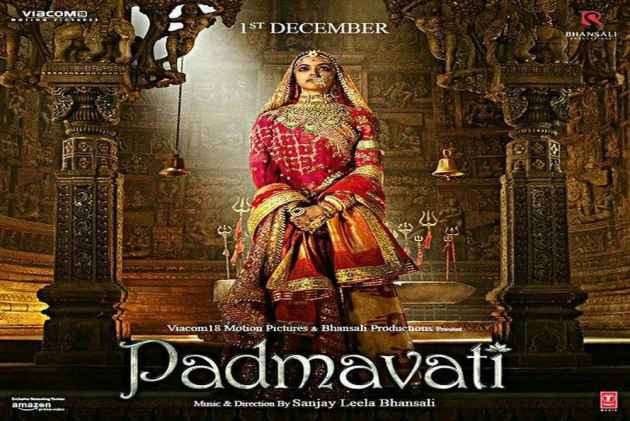 Rani Padmavati never danced, rather all women from royal families lived a very dignified life and whenever they felt that their chastity is in danger, they would jump into fire, so that nobody can touch them.